Having traveled to the park for nearly 20 consecutive years for photography, I've seen a lot of animals. But there are some species that have eluded me, and comprise my Yellowstone Wishlist. 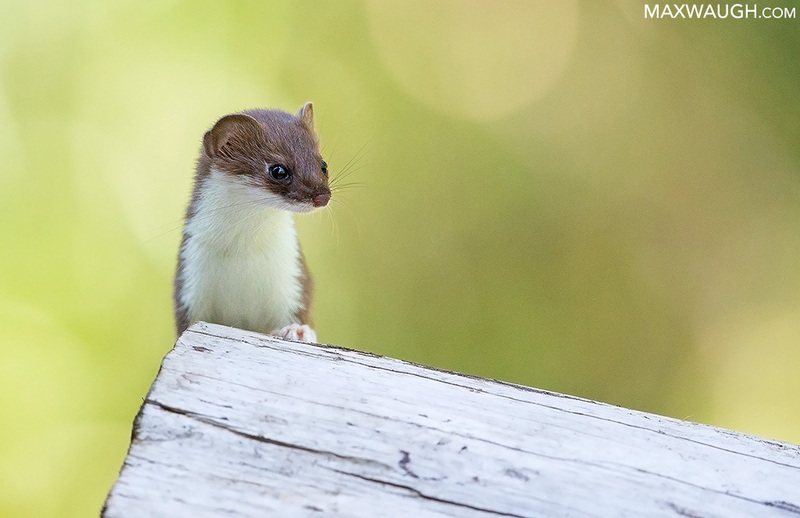 I finally checked off the short-tailed weasel a couple years ago when one showed up at our cabin. I've written an article on my blog discussing my top remaining wildlife goals in the park. What's everyone else's top wildlife goal? I am surprised at how few porcupines you've seen, Max...I've nearly hit them driving at night from Madison from West Yellowstone at least twice. Seen them twice on the road from Norris to Canyon as well, though I have never got good pics of one. For me, the holy grail would be a mountain lion, of course. Never seen one, and honestly never expect to. I'd love to see a bobcat, but that would likely require a trip to West Yellowstone in winter and an expensive snow coach rental for multiple days and I just can't justify that sort of expense. I've seen bobcats here in Florida multiple times, but they look quite a bit different down in the heat of the south. I've seen a weasel though I didn't get very good pics of it. I don't think I've seen any of the animals you listed in the park, and it would be great to be able to see them. My biggest goal would be to see any of the big cats, cougar, bobcat or lynx. Yep same here.Lynx,lion,and wolverine would be the top for me,lion most likely to happen,I keep looking in the cliff areas along the Yellowstone from around Tower Falls to Hellroaring Bridge.I have seen lions twice,once here in California and once in New Mexico but at that time had no interest in photography,now I have in interest in photography and no lions...well played Mr. Lion ! As for porcupine I have seen quite a few west of West Yellowstone unfortunately as roadkill,seem to be prevalent in the heavy lodgepole forests along US 20,I photographed one around Steamboat Point many years ago. Last edited by Mike on Mon Mar 12, 2018 9:16 am, edited 1 time in total. Not Yellowstone but Greater Yellowstone, me and two friends saw a Mountain Lion in the the Beartooths back in 2009 along the Stillwater River. My dog also got into with a porcupine in 2008 in the Beartooths in the West Rock Creek drainage.